I generate my HTML using XML/XSLT. 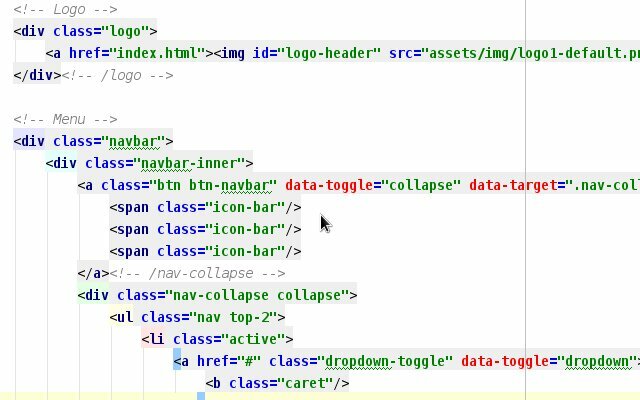 The PHPstorm editor is highlighting HTML5 data tags as errors. I've got the Settings > Schemas and DTDs > Default HTML language level set to HTML5. How can I tell the IDE that it's not an error? this works fine for me. What PHPStorm build do you use? Is your code defined in .html file? Please can you attach a project that shows up the problem? If I remove that, it's ok, but then I don't get any of the autosuggesting for HTML. Is there a namespace that I can specify for HTML5? According to http://www.w3.org/TR/2011/WD-html5-20110113/namespaces.html, the HTML namespace is correct. The HTML generated is correct, but that's not my concern. The issue is that the XSLT file has 'data-xyz' tags flagged as errors in the IDE.